Whether you are toasting Christmas, New Year's or some other holiday or occasion, this sparkly libation is worthy of the celebration. This rum drink recipe features pear juice, cherry juice concentrate, lime juice and soda water. 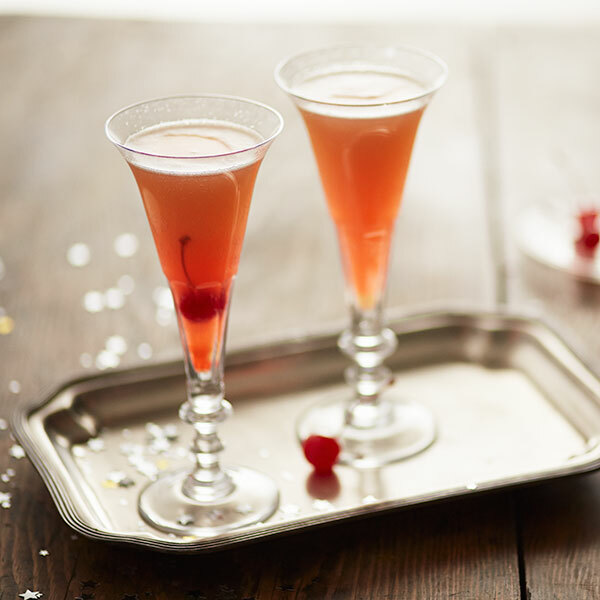 Maraschino cherries provide the finishing festive flair. So go ahead. Mix up some merry. In a small pitcher, combine pear juice, rum, cherry juice concentrate and lime juice. Stir well. Fill 4 highball glasses with ice and divide cocktail between glasses. Top with a splash of soda water and garnish with cherry.